Last month Pat and I had a two-week staycation of sorts. He was off. I worked...less. 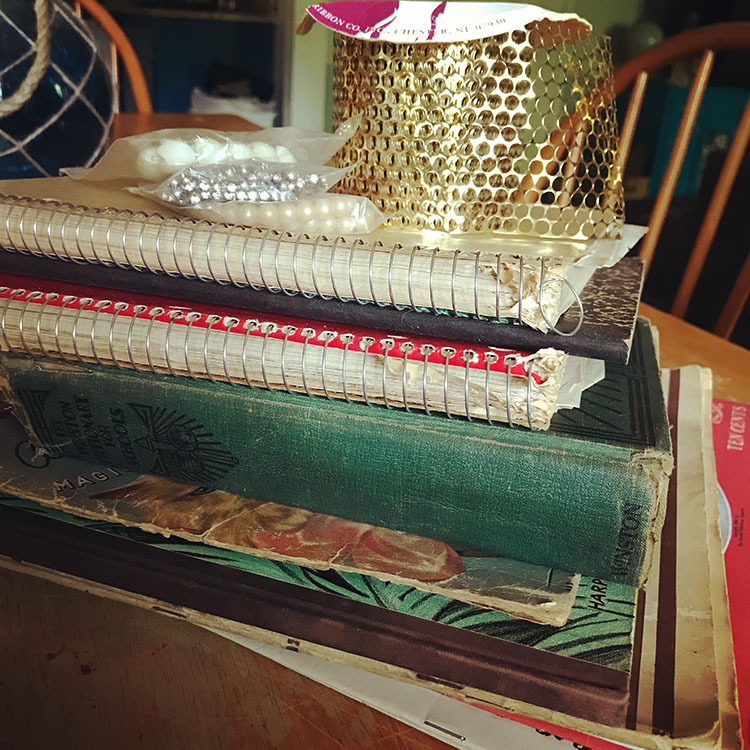 One of the ways I indulged myself was by hitting up thrift stores, antique malls, and an estate sale more often than usual. And boy, did I come away with some amazing treasures. I started small with a couple of tins and a set of stamps from the local Goodwill store. 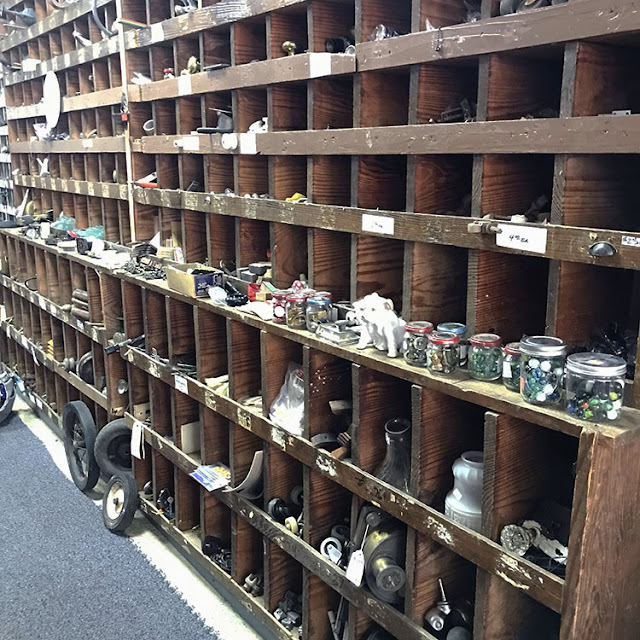 A picture on Instagram similar to the one below enticed me to visit the Antique Emporium on the other side of the Bay. 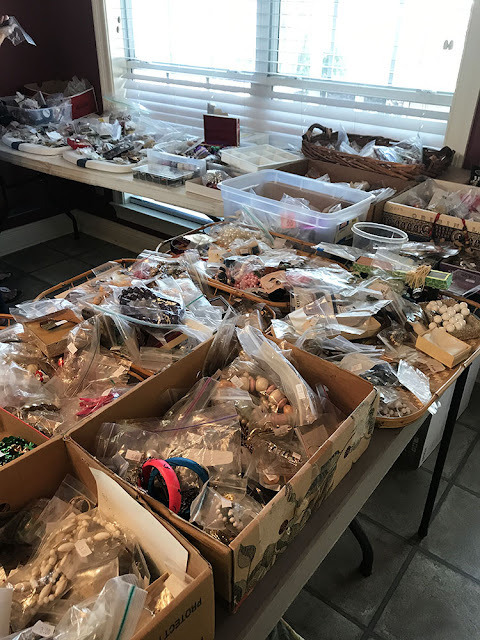 I mean, just look at all those cubbies and jars of marbles, buttons, and old jewelry!! Somehow this was the last section I discovered in the store, but I spent a good deal of time in front of this display. And, I came home with a pile of goodies. 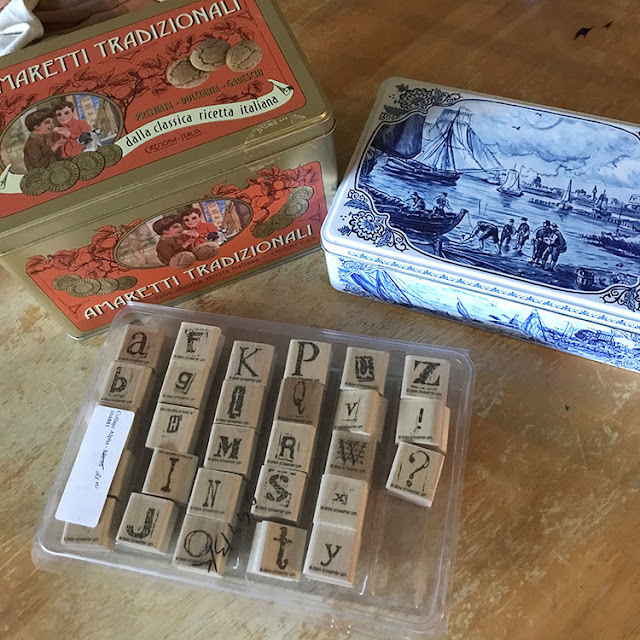 The tin and letters were found elsewhere in the mall, but the rest was right out of the cubbies! I saw the estate sale advertised on Facebook, but it took a couple of friends going to check it out to get me to go too. 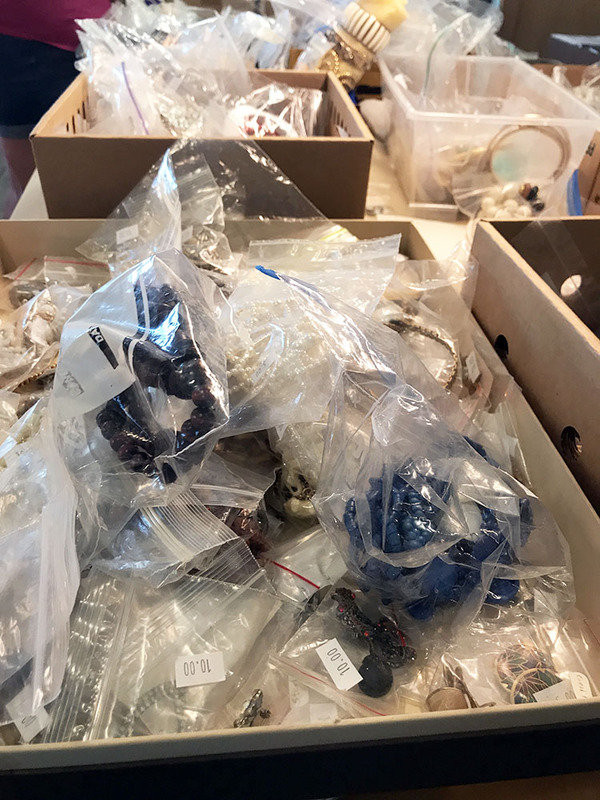 The main draw to the sale was the massive collection of jewelry. 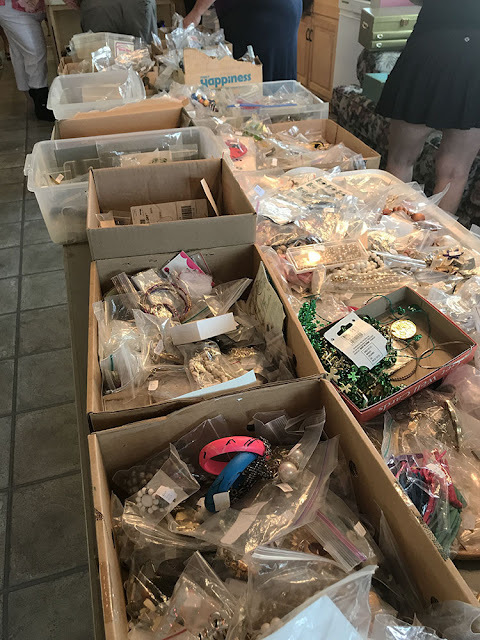 It was almost three rooms of jewelry! There was so much jewelry that I felt quite overwhelmed at how to tackle the going through of it all. I ended up leaving the sale with three small baggies, some sequin waste, and a stack of books. I'm still quite pleased with the haul. While doing all this shopping, I also spotted a few items that I wish I had bought and a few that puzzled me completely. 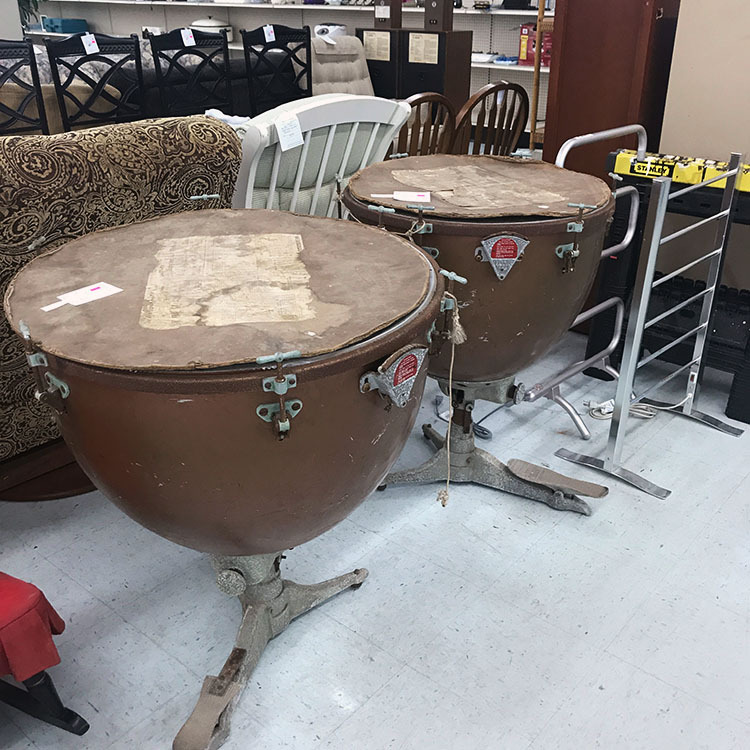 These timpani drums were at the Goodwill and for a reasonable price. I hate that I didn't snag them. My sister-in-law went back a few hours later for them, and they had sold. I should have known better! At one of the antique malls, I found this gem. 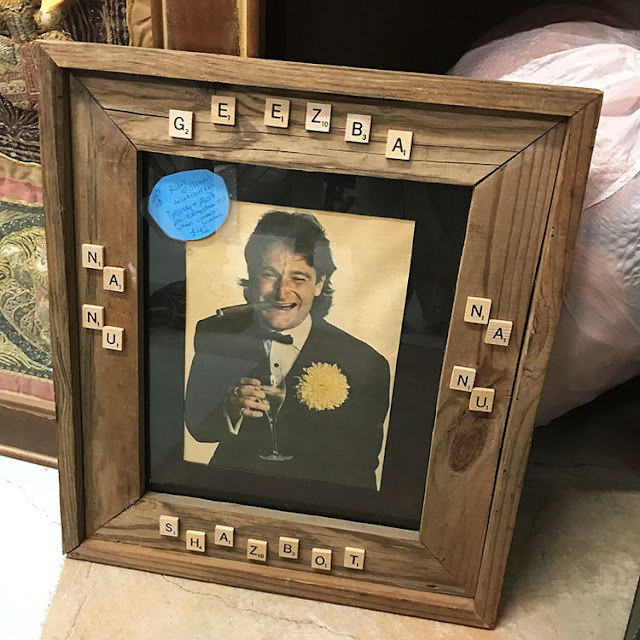 Now, I loved Robin Williams probably more than most people; but I cannot imagine who would own this and why! That same day at another store, I spotted these. I have to start by saying that I absolutely appreciate the artistry and creativity it took to make these, but like the framed picture above, I just don't understand who the person is that would own it. There were a few other outings and treasures found. If you want to see any of the above or the other finds in more detail, I made a video of my Thrift Haul for July 2018. How often do you go out thrifting? What's the weirdest thing you ever found in a thrift or antique store? Oh, me too!! I really think that the Northeast/New England has a much better selection of old stuff because it was more populated and is actually older than down here. 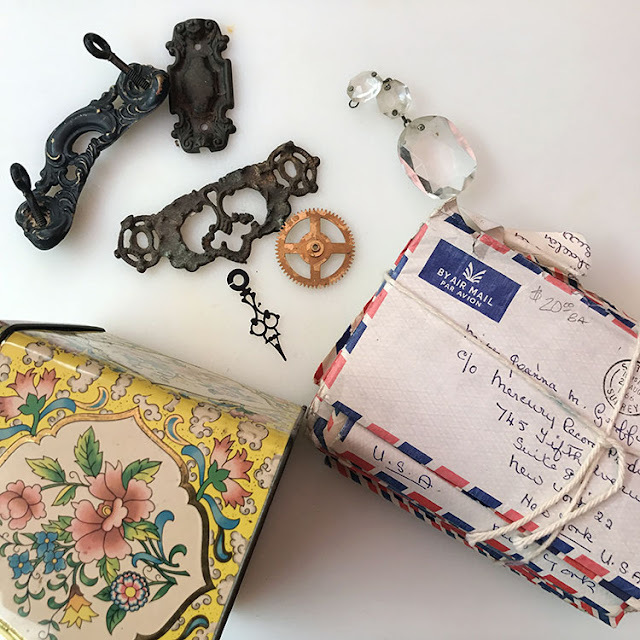 It's so hard to find some of the treasures I see online or on Flea Market Flip around here. Instead I end up coveting what I see. Ha! As for the mannequins. RIGHT!? 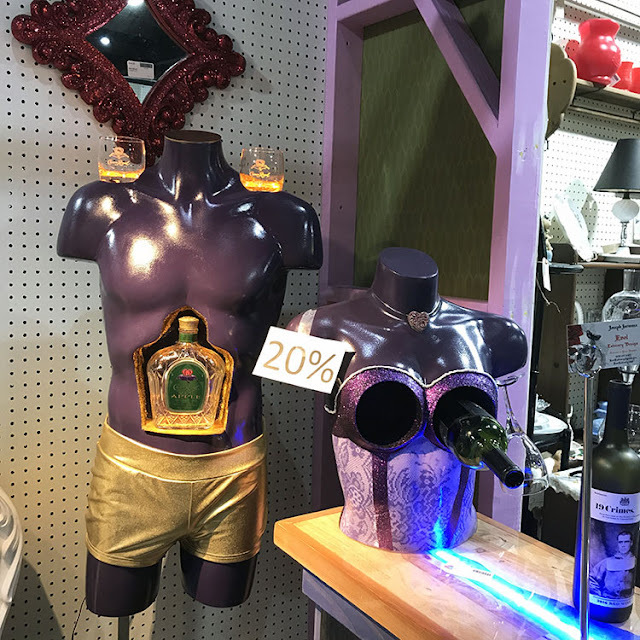 I'm sure there's someone out there who either likes them for the hilarity of them or some kind of bachelor pad set-up, but they're just so strange. I almost want to meet the mind that came up with them! Chelle, That's a shame about the state of your thrift stores. We have them dotted all over. But, for the most part there's not much that I look for in them anymore. Sometimes I find winners. I tend to veer toward the antique malls lately. As for that estate sale - it was so crammed together and so many people sorting through it all and moving everything around, I had no way to control the situation or figure out what I had looked at or hadn't. It was just too much for me to take in. I can't imagine how the woman who had owned it all had organized it. Great finds! 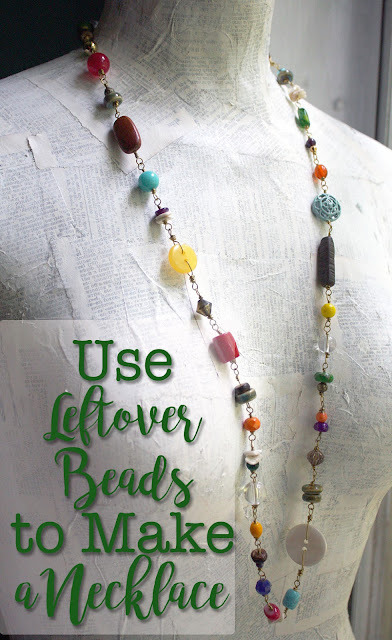 I love that strand of what "flower" beads or whatever they were. I don't go thrifting often mostly because I don't need any more stuff at my house. But there is a thrift store within walking distance of work. It's so nice to sometimes take a break and come back with a nice tin or plate or whatever. Ann, Aren't those interesting? I'm not sure how I'll use them yet though. Like I said in the video - they were the first thing I found at the sale and I'm not sure anyone else would have found them as interesting as I did. I really don't need anything else either, but have just been piling up the things I can use to make art of one kind or another. Sometimes I have to stop and remind myself to just MAKE ART and stop buying supplies. I've had to stop buying beads for the time being as I have more than enough. I guess I'm compensating with all the rest! Eek! I've mentioned it before that we don't have this kind of thrift stores in Bulgaria and that's why I love these posts :) I can't imagine the will power I would need if we had! Ha! I'm so glad you appreciate these post. 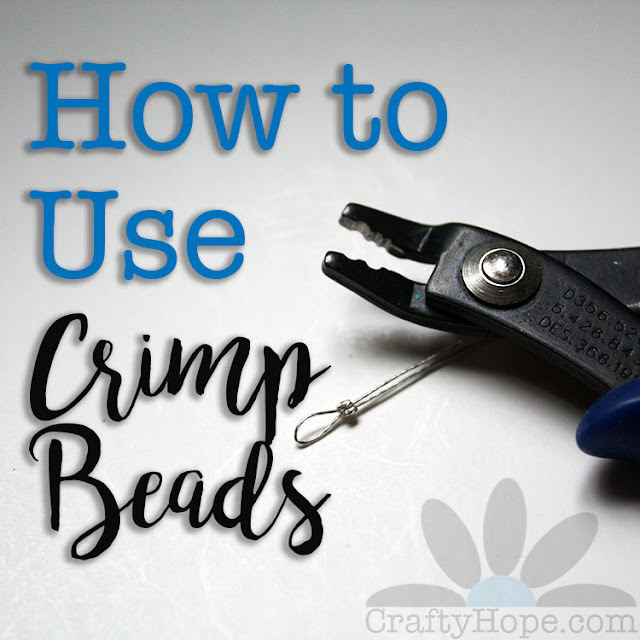 I try to remember to do them, but sometimes I put everything away so quickly or only get a single item that I forget to get pictures first. However, since I scored big in those two weeks and was on vacation, I was able to take a little more time putting things away! ;) Glad I can at least share some of the experience with you!